Rachel moved back to Paris! I’m visiting her TOMORROW via the Eurostar and I will be sleeping on her sofa. I still live in London! I’m still with Sam Singer! I still really like him so it looks like this just might stick! And I wrote a book about living as a gregarious insane extrovert despite it going against every fiber of my being and it’s coming out next year! I am currently in a self-enforced social media blackout to frantically finish my manuscript for my next book. I’ve spent the last year doing INSANE THINGS that nearly killed me. Things like…talking to strangers on the tube in London. Going camping with hippies. Traveling abroad alone. IMPROV. And so many more – all to report back in my next book, SORRY I’M LATE, I DIDN’T WANT TO COME out in the US, the UK and the Netherlands next May. It’s been a hilarious and painful year of misadventures in extroverting but I will be reporting back from the frontlines for all the introverts out there – those lucky bastards still safe under their duvets. 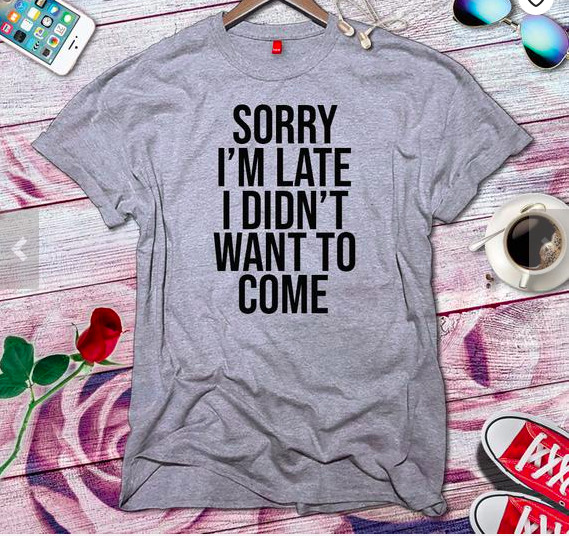 When I first saw the phrase, “Sorry I’m late, I didn’t want to come” – I thought, “I feel so very seen.” I’m a shy introvert and during the Graduates in Wonderland years, I tried so very hard to fight against that by living in Beijing and Melbourne and going to Malaysia on a whim…falling in love with British men, getting bad haircuts in France, etc etc (look, you read the book, you know). But then I lost some of that sense of adventure and I spent this year looking for it again. So please do stay tuned. There’s not even a cover yet! That’s how new this information is. But you can pre-order it on Amazon USA or Amazon UK. Or learn Dutch and read it in the Netherlands (I have to warn you that this will take a very long time, as Dutch is impossible to pronounce and sounds like gibberish). Okay I have to go and get back to writing and extroverting and eating pumpkin bread – MORE SOON. I MISS YOU. SO DOES RACHEL.